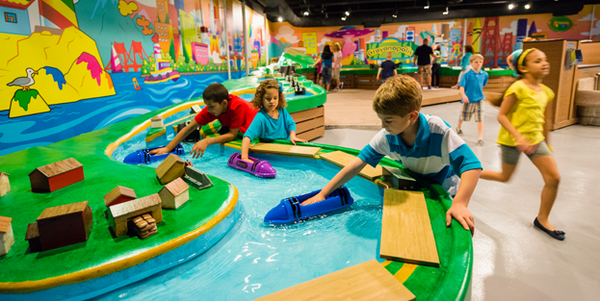 Crayola Experience Orlando is one of the newest attractions, fun for the entire family. The Crayola Experience, located at the famous Florida Mall, recently had a grand opening in the beginning of July, and has gotten raving reviews! If you and your family are interested in other attractions besides the theme parks, then this is the best place for a fun-filled day! The Crayola Experience is designed for children, teens and adults to exult their creativity, and is a unique experience for those who love and enjoy arts and crafts. The crayola experience Orlando has 25 hands-on-attractions, all which are very unique in their own way. The 25 attractions include, but aren’t limited to. activities like creating your own personalized crayon, making your 2-D art become 4-D on a digital projection screen, creating your own coloring page, using crayon wax to make a creation, painting, seeing a live theater show starring your favorite animated crayon friends, and much more. The Crayola Experience is more than 70,000 square feet, so it’s a great place to go if you have four to five hours to spend. The Crayola Experience is a one-of-a-kind unique attraction, that helps everyone recognize their creativity and appreciate arts and crafts and most of all the magic of coloring. The Crayola Experience is open year round, and is a great place to go for birthday’s, group trips, and special events. From basic coloring to chemistry to digital technology, the Crayola Experience is both an unique and exciting adventure. Also The Crayola experience is at the Florida Mall which houses many popular retail stores, so if you want to let your children adventure into coloring, painting and more while you do some retail therapy, then this is the perfect opportunity! At www.knowbeforeUgo.com You can purchase discounted tickets to the Crayola Experience. When in Orlando be sure to visit us at 8000 International Dr. Orlando, FL, where we are available to help 8:00 AM – 10:00 PM every day. Or if you need help with your itinerary before visiting , allow us to help you over phone at Toll Free U.S. And Canada: 1.800.749.1993 or International: 407.352.9813. We are happy to help.